no big dill: Coming to Sew Apropos...soon? 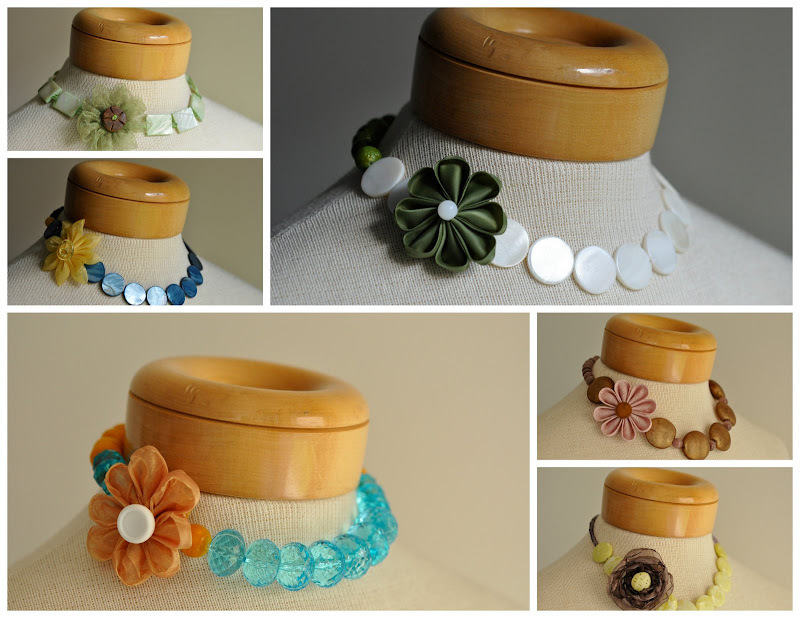 It's been a while since I've updated Sew Apropos and I've been busy at work getting some new neck adornments finished. Problem is, none of the photos will upload. So, I'm giving you a sneak peak of what will hopefully be up soon. Oooh, my fave is the blue and yellow. wow.. what a fun, beautiful blog you have! Love your ideas, photographs (so jealous of your skills! ), your writing. Thanks for sharing. Your blog made my day.